The sports film has become one of commercial cinema's most recognizable genres. From classic boxing films such as Raging Bull (1980) to soccer-themed box-office successes like Bend it Like Beckham (2002), the sports film stands at the interface of two of our most important cultural forms. This book examines the social, historical and ideological significance of representations of sport in film internationally, an essential guide for all students and enthusiasts of sport, film, media and culture. Sport and Film traces the history of the sports film, from the beginnings of cinema in the 1890s, its consolidation as a distinct fiction genre in the mid 1920s in Hollywood films such as Harold Lloyd’s The Freshman (1925), to its contemporary manifestation in Oscar-winning films such as Million Dollar Baby (2004) and The Fighter (2010). Drawing on an extensive range of films as source material, the book explores key issues in the study of sport, film and wider society, including race, social class, gender and the legacy of 9/11. It also offers an invaluable guide to 'reading' a film, to help students fully engage with their source material. 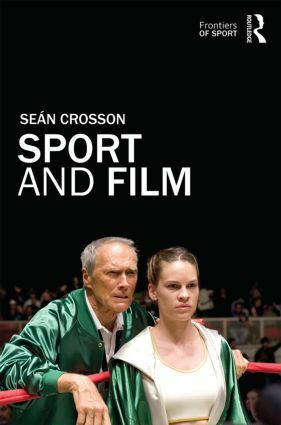 Comprehensive, authoritative and accessible, this book is an important addition to the literature in both film and media studies, sport studies and cultural studies more generally. Introduction: Why sport and film?